Ok I do not need to relieve the horrific manslaughter that occured infront of millions of people last night. 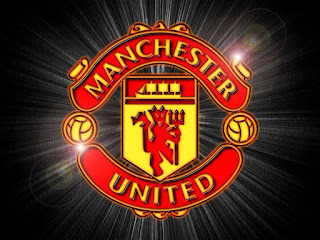 All I can say is never go and watch a Man U game with a bunch of HATERS in a freakin pub wearing a man u jersey, because it is a torturous and horrific experience!! But can I just use this opportunity to express my UTTER DISLIKE FOR ARSENAL FANS! I mean seriously they are the most backbelle people on the planet. Since you guys have not been in the Uefa Finals since 2006(which you LOST to Barcelona as well), I suggest you all dispense with the wise-cracks. That being said, last nights match was a bit of a disaster, and it was over in about 5mins. We were out-played full-stop. However, MAN-U is still the best team in the world. End of discussion. P.s--what is up with these people killing themselves over football in African countries, I thought we had more pressing problems like hunger and disease?? Here is the story of a Man U fan that killed some Barcelona fans in Nigeria last night. I mean seriously??? yes oh. what concern africans abeg. imagine killing 4 men. tufia kwa! some wks back, a kenyan hung himself cos football loss. chai! !